Rip-n-Ride© won best class in 2015, and it is a 45 minute performance based indoor cycling program bringing sports proven training principles into an indoor group cycling environment. With a 30% focus on indoor cycling, and 70% focus on Core Strength & Toning of the Upper Body. There are no upcoming “Rip-n-Ride©” classes on this day. Not a cycle class. We just did arm exercises on bikes. Didn’t even work up a sweat. If you do take the class, go heavy on the weights so it’s at least a challenge. Great class. Lots of arm toning. Bikes are a little too close so get ready to make friends with the person next to you. Besides some people ignoring the ‘assigned cycle’ causing you to take someone else’s.. love the class. 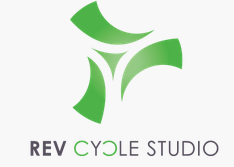 This was my first class at Rev Cycle! Check-in was easy and the staff were super friendly. The bike I was assigned to was in the front row (cue social anxiety). But let me tell you - I felt like I was the only person in the studio. Eddie was AWESOME! He is so motivating and encouraging through every exercise. I found myself pushing harder than I thought possible. I will definitely be back! First time trying this class format. It was a crazy good arm/core workout with some quick cardio between to give the upper body a break. I really liked it and I will be back! This class was almost all (probably 35/45 mins) arms which was great but I did not know going into it. Eddie said we did 1850 reps over the course of class. Great class! It’s more focused on arms than cycling. So if you’re looking for a mix of strength as soon this is your class. Great class! Never knew could do so many arms on a bike! Thanks! Will return.